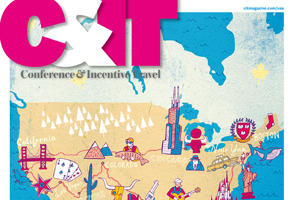 C&IT magazine has launched an exclusive study into US incentive programmes. The results will be revealed at this month's EIBTM in Barcelona. The American Dream Incentives survey will determine the ideal stateside programme, as voted for by C&IT’s 18,000-strong readership. A panel made-up of representatives from destinations including New York, Texas, Washington and Las Vegas will then debate the findings and discuss available stateside programmes during a seminar at EIBTM, at 4pm on 1 December in room 4.3. The discussion will be chaired by Steve Knight, project manager of AIBTM – the Americas meetings and events exhibition, which will debut in Baltimore from 21-23 June 2011. Following the seminar, attendees will then be invited to attend a drinks reception on stand F270 to launch C&IT’s special Stateside edition. In order to help C&IT magazine discover the ultimate Amercian Dream incentive programme, please fill out the survey here.